Marvin Dual Color model in the process of printing on out Taz 6 in PLA using our E3D Titan Aero Toolhead for Taz on a LulzBot Taz 6. This video gives you an inside look at the Palette+ in operation, and our LulzBot Taz 6 with E3D Titan Aero toolhead for Taz in 1.75mm printing a multi filament print. Our toolhead lets you print both solid and flexible filaments. Available for either 3mm filament (stock LulzBot size) or 1.75mm filament, which makes your LulzBot compatible with the Palette+! Own a Mini and want multi color printing? Stay tuned, we’ll soon be testing out E3D Titan Aero Toolhead for LulzBot Mini for 1.75mm filament with the Palette+! 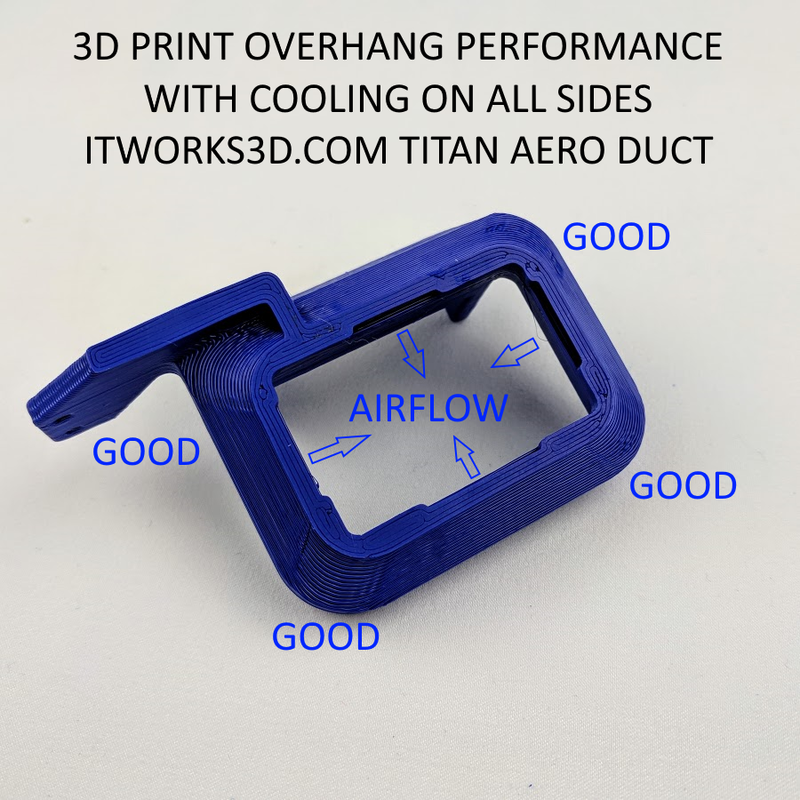 While printing filament cooling ducts for our E3D Titan Aero toolheads, I noticed that some ducts had consistently poorer print quality on the overhangs of some corners, while others had even performance on all corner overhangs, even when printing with the same printer and filament roll. Keith pointed out that I had switched toolheads between stock and one of our upgraded E3D Titan Aero toolheads with the surround filament cooling ducts. I hadn’t expected the more even cooling to make that much of a difference, but it indeed does. This beautiful vase was 3D printed in Translucent Turquoise 3mm Chroma Strand Labs Inova-1800 co-polyester filament from Benito Sanducci’s Gosper Fractal Vase design. Sale? Yes! Turquoise and Turquoise 2 (a darker “emerald” color) Inova-1800 3mm 3D printer filament are a special limited edition on sale for only $39/kg! High Speed High Strength 3D prints on your Taz, Coming soon! Preview our upcoming E3D Titan Aero + Volcano toolhead for the Taz 3D Printer. The Volcano hotend has nozzle diameters of up to 1.2mm which makes for very fast, very strong prints. Available in 3mm and 1.75mm filament diameters, and with optional wear resistant and hardened nozzles and hobs for printing abrasive filaments.